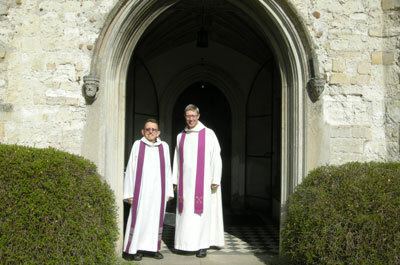 I am delighted that the Dean of Ely, The Very Revd. Mark Bonney, accepted my invitation to come and preach at the Parish Communion on Sun. 23rd Mar. Mark is keen to build up links between the parishes and the Cathedral community and his visit was part of his commitment to this end. He met many of the regular congregation and was able to respond to questions about the Cathedral and its priorities in the years ahead. The next special guest preacher at the Parish Communion will be The Revd. Canon Bob Reiss who will be with us at the Parish Communion on Pentecost (Sun. 8th June). Bob has recently retired as Canon Chancellor at Westminster Abbey; prior to this he was Archdeacon of Surrey in the Guildford Diocese. Earlier in his ministry in the 1970’s he was Chaplain at Trinity College Cambridge.